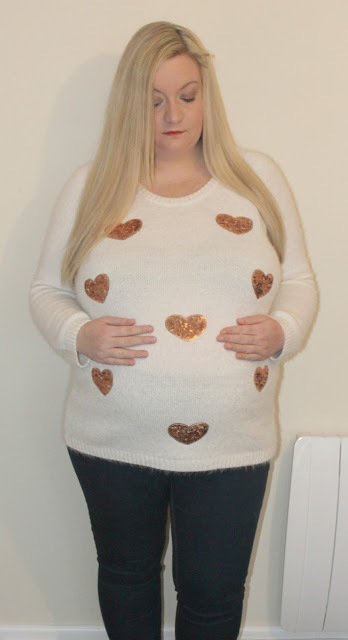 Shopping when pregnant isn't always the easiest thing to do, particularly when you start to get close to the end of the pregnancy as you don't want to spend a small fortune on items you won't be wearing for very long - but you do want comfort and style! I have recently been feeling really tired of my maternity wardrobe as most of it is made up of items I already had from my pregnancies with Tyne and Noah - as I always seem to be pregnant around the same time of year it's just been handy to keep on recycling the same old things but 3 pregnancies in I have to admit, they're starting to look and feel a bit worse for wear and it was definitely high time for some new items! 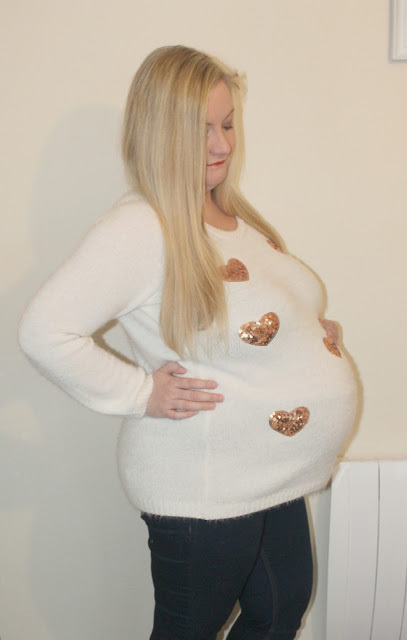 I was delighted when I was recently offered the chance to try out some items from the George at Asda Maternity range - I have to say, I wasn't actually even aware that George had a maternity range as I'd never noticed it in stores before and never thought to check online - I'm so glad I've been introduced to it as I have been so impressed with the choice and the prices! I usually stick with high street retailers for Maternity clothes as I don't see the point in spending a great deal on items I won't be wearing for very long, and I like fast fashion - I like things that are on trend, wash well and won't cost the earth - and that's exactly what I found at George! 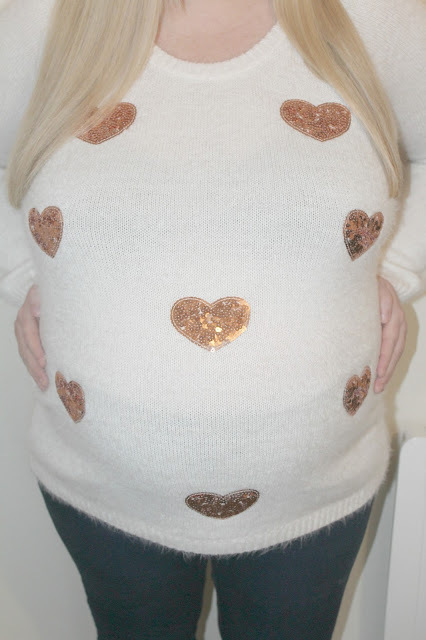 This lovely sequin heart jumper - the material is super soft and comfortable, and the copper sequin hearts give it a lovely trendy edge - perfect for the festive season too as a bit of sparkle is always welcome at this time of year! It covers the bump perfectly which is what I always look for, as I hate short jumpers at the best of times but even more so during pregnancy! The Butterfly Print Lounge Prints are honestly just SO comfortable! They make such a welcome change from the leggings and maternity jeans I seem to live in, and I wish I could wear them every single day - they feel like you're wearing a comfy old pair of pyjamas but actually look like you've made a bit of an effort too - win win!!! To go with the lounge pants, I wanted a nice comfortable black top - so I chose the Chiffon Black Glitter Top. 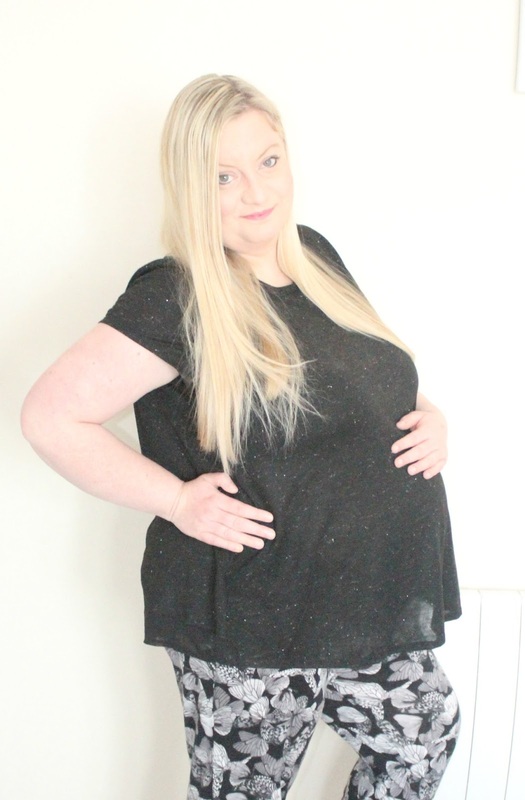 From the front it looks like a nice plain black t shirt with a bit of sparkle through it, it's loose fitting and again nice and long to cover the bump - very comfortable and it washes lovely without losing any of the sparkle! The back has a split, which I was concerned about before it arrived as I didn't want anything revealing but I needn't have worried - the split is right toward the bottom of the top only and doesn't come up too high, it's also lined with chiffon so there's nothing really on show! Have you ever tried George's maternity range? As always, I'd love to hear from you!